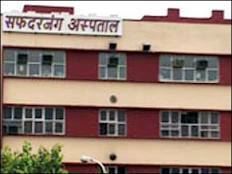 The very recent fire at Safdarjung Hospital nursery in Delhi brings back the horrific memories of the fire accident at the Advanced Medicare and Research Institute (AMRI) Hospitals at Kolkata wherein 90 lives were death trapped! In real terms, the healthcare industry is the only industry which thrives on the premise of safety. Yet, it is a sad and unfortunate truth that many of our hospitals continue to have poor fire safety arrangements. This begs the question that how many more lives must be lost before the industry takes safety and rescue measures seriously? And it is not just this industry but each sector and individual. Why can’t we adopt measure to prevent the irreparable loss? The lives of at least 15 newborns were put at risk when the nursery at Safdarjung Hospital, one of the largest hospitals in the country, caught fire in the wee hours of morning. At Safdarjung Hospital, the fire could have proven life threatening had there been a delay on part of fire officials. In another 10 minutes, the team reached the spot and the nursery was smothered in thick smoke and the environment in the nursery was suffocating. The hospital authorities claimed that the fire was caused because of a short circuit in one of the air conditioners in the nursery. Though there was some damage to medical equipment, the infants escaped unscathed. A similar incident was witnessed at North Municipal Corporation of Delhi’s Bara Hindurao hospital in the very same month on 15th, with a patient’s attendant saving dozens of lives. In the wake of AMRI tragedy that shocked and horrified everyone, the entire healthcare fraternity had come under scrutiny regarding the safety and rescue measures implemented within hospitals but we still get to witness such mishaps. The AMRI Hospital fire case had become a point of relentless debate and was ringing alarm bells for all healthcare stakeholders. But it seems faded now since Safdargunj fire was not the very first ever since AMRI tragedy but we had a sequence of fire thereafter. Stricter and clearer safety compliances is the need of the hour. Safety of the patient in the hospital does not only mean safe treatment. Physical safety of the patient is also of primary importance. The incident at AMRI, Kolkata was a very sad but preventable incident. And there should not be more similar instances. We should learn and unlearn from our mistakes rather than repeating the same and facing the similar disastrous aftermath. We should follow the National Building Codes and practice regular drills and do anything and everything that we think could help in the safety for the larger good. In this very case, to think of the worst, had the fire-fighters not reached in 10 minutes we would have faced a very heavy loss. It was already dark therein where laid 15 infants, dark because of black thick smoke. Moral is to say that had a good cable been used, it would have taken time to burn and also would not hinder the visibility.